I apologize in advance for my English. I mostly use the translator. I creating a small addon that adds a smeltable items, such as metal dust, nuggets, plates and other common ingredients that are used in a variety of techno-mods. When creating modpack I can replace the common dust / nuggets / plates by these smeltable variants using ModTweaker. This allows more beautiful and elegantly integrate techno-mods with TFC in my future modpack. Also, I added aluminum as a metal and set of items from it (ingots, unshaped aluminum, dust, nugget, plates). And at this stage I had a little problem. Please help with the decision. I decided to get the aluminum melting cryolite and kaolinite. Since the class ItemOre has hardcoded properties of cryolite and kaolinite, I decided to create my own class ItemModOre, which inherits ItemOre class. In it, I have the necessary properties and they started to melt. It works fine. Kaolinite and cryolite melts and gives me aluminum. But one thing bothers me and I do not know how to fix it. In the NEI all ores displayed twice. All IDs and names are same. How do I remove duplicates from NEI? I changed the concept of mod. Now this is not a small mod that adds a few new items. I decided to make a crossover mod which will integrate the technical mods with TFC. 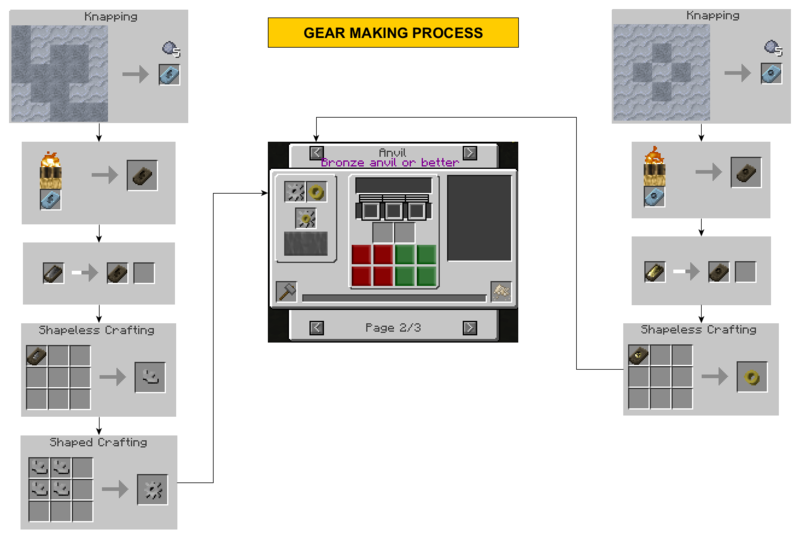 Buildcraft integration - new gears, steel buckets for oil and fuel, new pipes, new items, changed recipes etc. 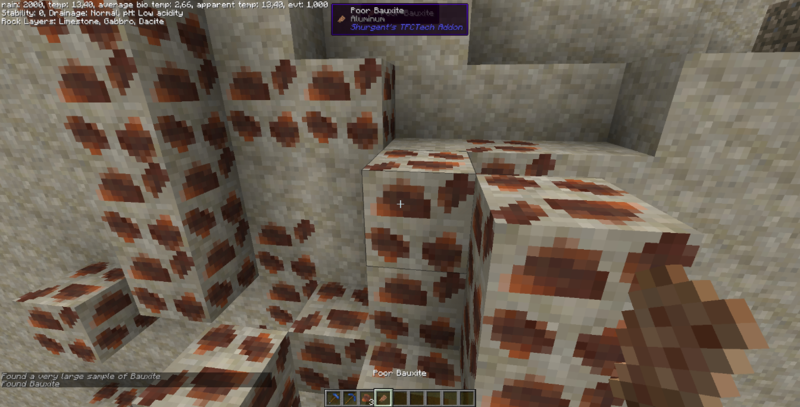 Quartz drops from stone - nether quartz replacement. 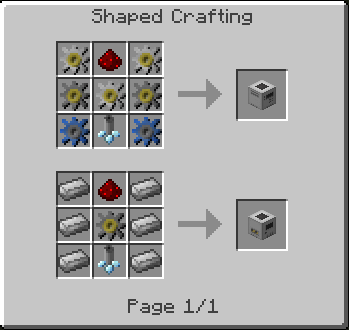 Drill Head instead of pickaxes in Quarry and Mining Well recipes. Not a coder myself, just an avid reader of everything tfc. I understood from reading the forum that tfc has an API for easy introduction of new ores. Wouldn't be easier to just add and make it bauxite work as a metal? It would be more believable, and maybe fix some of the issues you are having. At first I thought to do so. But I do not understand how to create my ore, such as in TFC (which takes the form of the stone in which it is generated). I thought it would be easier to just make a cryolite and kaolinite meltable. I assume you are using substitution aliases. This is a bug in NEI and despite forge fixing substitution aliases with ore dictionary they are extremely problematic. They seem to function properly in SSP, but not SMP. I assume you are using substitution aliases. They seem to function properly in SSP, but not SMP. Sadly. It turns out, I only have one option - to add my own ore, such as bauxite? I will not be able to make kaolinite meltable other way? I would suggest going the route of making your own ore. The API provides what you need for that. For the ore block itself I'd suggest looking at https://github.com/lawremi/PerFabricaAdAstra I know they have ore blocks that will blend into surrounding stone, I've tested it in TFC world and it works fine. I'm unsure how they do it, but it may provide a template for doing that with your ore block. The spawning via TFCOre.cfg is straightforward and the pro pick will be able to see the ore and report it using the localized name. The short comings are the lack of quality for the ores and I'm not sure you can have it collapse like TFC ores do. Alternatively you can look at the TFC code and request that the classes and such you need to make your own ore blocks. Having played around in that I'm not sure how feasible that is, but might be worth looking into. I'd definitely stay away from the substitution aliases. Thank you very much for your response. I probably will do as you suggest. I had to tinker, but I did it! It remains to make the generation of pieces of ore on surface. You should create a new tread in the regular Addons. Addon is still WIP. I will create a new tread as soon, as I release at least beta build. Just otu of curiosity. How stable is the initial build. Initial build has a few mistakes, like missing textures and recipes. I recommend to use the latest available version 0.1.4-A4. It is tested and stable on SSP, but not yet tested at SMP. Can I add my own random gem drop when stone block destroyed? You can use a forge event to spawn an item entity when a block is broken, read more here. You can compare the broken block type for the desired type, then add your drop with a random chance or clear the drop list if you want to override the drops then add your own drops. I highly advise looking at forge events, there are a lot of things it will allow you to do. This event fires only when I harvest cobble, bricks, smooth, sand etc. but not stone. Maybe I should use a different event? To handle stone harvest event I should use BreakEvent and spawnEntityInWorld to spawn drops. I trying to add new tree Hevea and I have a problem putting my Hevea Logs in Log Piles. I found that isItemValid method of SlotLogPile class has condition:"itemstack.getItem() == TFCItems.logs"
This means that only wood from the TFC can be folded in a Log Piles... Can I somehow get around this limitation? Or maybe I can ask the authors to make some changes to code to make this possible? For example, to add an override method isItemLog() into ItemTerra base class and change conditions in isItemValid methods to "itemstack.getItem().isItemLog()". Or something like that so that you can freely add new logs and they can be folded in a Log Pile and can be putted in Firepit. Although Kitty likely will read this. It is best to put it is suggestion section. As stated on the home page, there will be no further updates to TFC1 unless a major crash is reported. So don't expect any changes being made to the code. You could always create your own log pile block that specifically lets you place your new logs. You just won't be able to mix and match it with vanilla logs. There is no suggestion section for addons other than the stickied post regarding visibility. The TFC1 suggestion forum has been locked since the 0.79.27 release and does not allow the creation of new topics. As Kitty said, you can make your own logpile. I would suggest using an event to detect when a logpile is intended to be placed then cancel that event and place your own logpile that extends the original logpile class with the overridden methods that you require to use your logs. It sounds like it is tough but it is actually somewhat easy and in some cases only a few lines of code. I've done this to replace nest boxes and hoppers in my mod and it isn't too hard. It's a shame that the Log Pile working as it should. The problem is only in the slot. Just one line of code, which negates all. But if Log Piles problem is solveable by adding my own Log Pile, then the problem with the Firepit remains without a solution. I can't put my Hevea Logs into Firepit. Yes, I thought to make close to real world aluminum smelting and refining in future. Real world aluminum refining is: electrolysis and A LOTS of energy. At first, the aluminum is obtained simply by melting ore. In the future I plan to add a variety of machines, including electrolyzer. In the first stage of mod development, I want to integrate the technical mods, such as Buildcraft, Railcraft and Immersive Engineering. I changed concept of the mod. Now this is not a small add-on that just adds the dust and plates. I decided to create a crossover mod. Yes, I know, there is already a similar mods, but I want to create my own mod, with my own concept.